Standing outside court, emotional Empire star Jussie Smollett looked close to tears as he spoke, just minutes after all 16 grand jury charges against him had been sensationally dropped. As I watched him speak, so eloquently and so powerfully, I felt a surge of sympathy welling inside me for this poor misjudged young man who had just been cleared of staging a race-hate, homophobic attack on HIMSELF. It’s hard to imagine a worse thing for a high profile black, gay man in America to be accused of doing. And I actually felt a sense of relief that it had all turned out to be untrue and that he really was the good, innocent, ‘sweetest guy in the world’ his famous friends had insisted all along. But as he posed for pictures with celebrating fans, there was something nagging me. Shortly before Smollett appeared to speak to the media, it was revealed that he had forfeited $10,000 bond money and secretly performed 16 hours of community service at Rainbow Push, a civil rights organisation in Chicago. These two things had apparently been ‘factored into’ the decision to drop charges. Why, if he was an innocent man? Like many journalists, I was bemused. First Assistant’s State’s Attorney Joe Magats, the man who made the decision, soon answered this puzzling conundrum during one of the most embarrassing, shifty, excuse-laden displays I have ever seen from a prosecutor trying to defend a decision. ‘Does dropping the charges vindicate him?’ he was asked by CBS. You dropped all charges against him because he’s GUILTY? At this point my bemusement turned to cold fury. Smollett hadn’t been cleared at all. He’d staged the ‘attack’, but was being let off with effectively just a small fine and a bit of community work. His record would be expunged and the files sealed forever from public gaze. Magats inferred this was sufficient punishment because Smollett had no criminal record, and did not represent a threat to public safety. 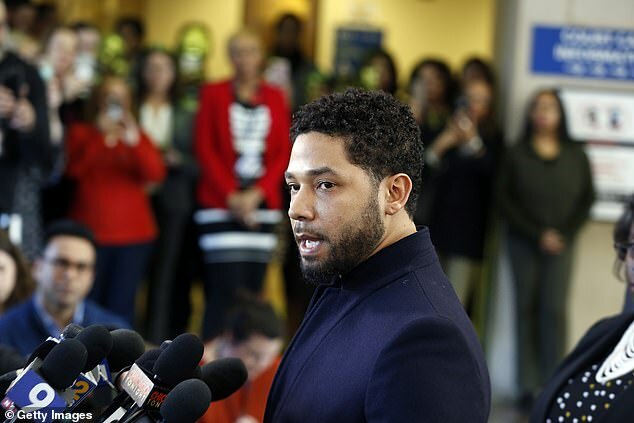 But the decision smacked of a disgraceful stitch-up, driven by Smollett’s wealth and fame, his connections to powerful politicians, and the furore surrounding the case. Chicago Mayor Rahm Emmanuel was in no doubt. Emmanuel wasn’t the only high profile Democrat to express anger at the outcome. I watched Smollett’s court statement again, now I knew he was lying again. It was a very convincing performance, almost as convincing as his performance on Good Morning America when he first recounted his story to Robin Roberts and garnered the nation’s horrified sympathy. One thing’s for sure – Smollett is a GREAT actor. Sadly, both his performances were just as fake as the original staged ‘attack’. Well it’s not going to get one from Jussie ‘I didn’t do it!’ Smollett. But staggeringly, Smollett’s not even the worst villain in this disgusting saga. That badge of dishonour goes to the State’s Attorney Kim Foxx and her team including her hapless First Assistant Magats. At the very least, it appears that her team acted on her apparent conflicted desire to protect Smollett from facing proper justice – a shameful, breathtakingly cynical example of the very worst kind of racial politics. The result of this shocking carve-up is that Smollett walks away a free man with no criminal stain on his record. Fortunately, there’s another court he now has to face and that’s the court of public opinion. Nobody apart from Smollett’s family and a few of his deluded celebrity friends is buying this travesty. Smollett lynched the truth, caused immeasurable harm to real victims, betrayed America’s black and gay communities, and thinks he’s got away with it. His reward for all this shouldn’t be a return to his $100,000-an-episode life as a feted TV star. Smollett should be fired from Empire, banished from Hollywood and treated like the pariah he deserves to be, by an industry that supposedly prides itself on tolerance. This wouldn’t fully atone for such a grotesque insult to justice, but it would help.